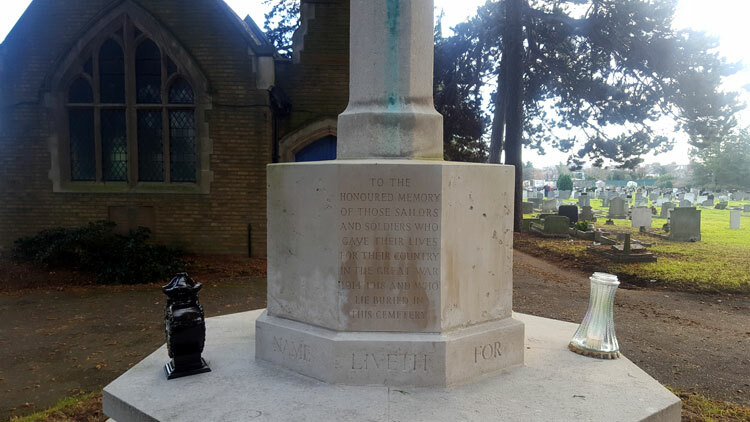 The New Brentford Cemetery includes 55 Commonwealth War Graves, - 53 from the First World War and 2 from the Second World War. Many of the burials are scattered, and some of the burials are marked by family headstones. Amongst the graves are those of two soldiers who served with the Yorkshire Regiment. 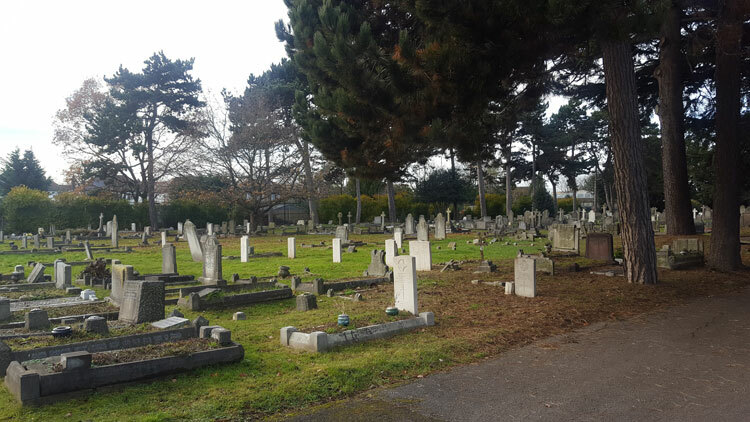 We are very grateful to Wayne Bywater (<waynetyke123@aol.com>) for the photos of the headstones of the Yorkshire Regiment soldiers, and of the cemetery. 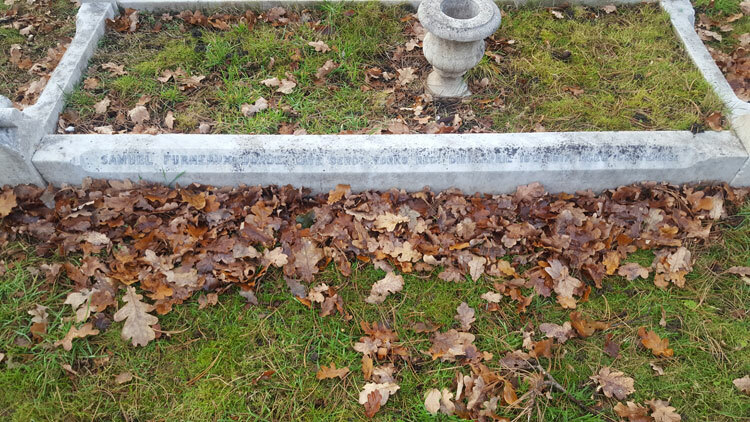 The Family Grave in which Sergeant Burge is buried together with his wife, Pamela. Private William Ayres. 33979. 3rd Battalion the Yorkshire Regiment, formerly SE/3262 Army Veterinary Corps. Died at home 7 July 1918. Born Heston (Middx), Enlisted Hounslow. Resided Heston. 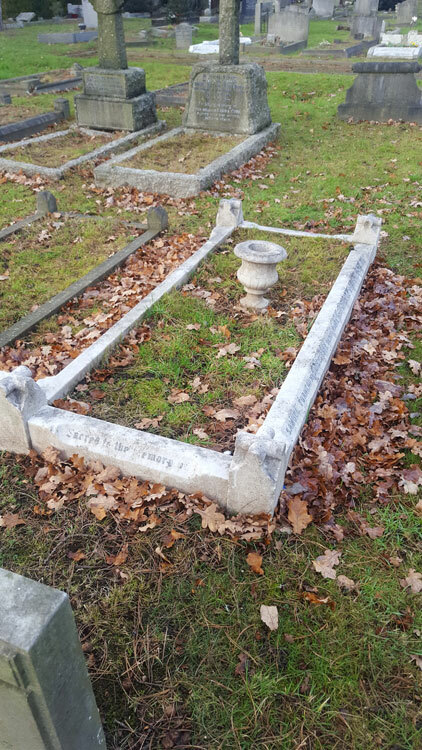 (There was a W M Ayres, 33079, listed in the GH Gazette database who died in mid-late 1918. 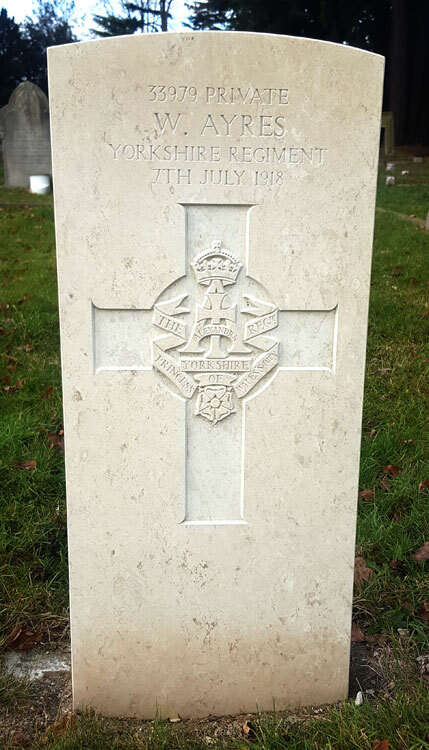 But both the CWGC and SDGW show his service number as 33979). 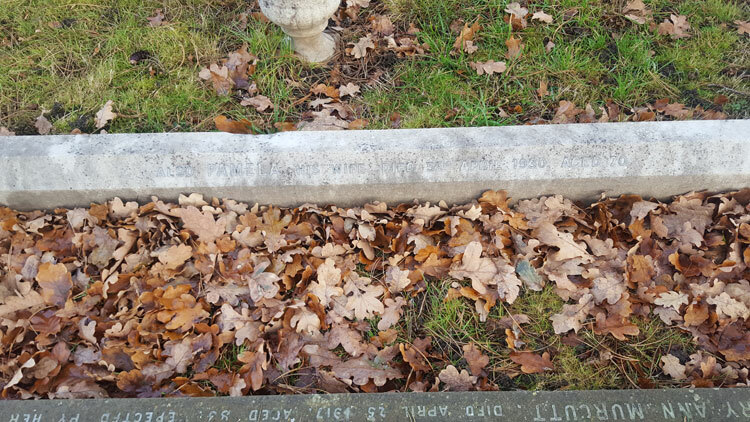 Sergeant Samuel Furneaux Burge. 2321. 2nd/5th Battalion the Yorkshire Regiment. Husband of Pamela Burge. Died at home 16 April 1917. Aged 58. Born Geelong (Australia), Enlisted London, Resided London.